Nothing says “Family” like these artists! It is an up close and personal show filled with great stories, beautiful memories and hit songs of the Legends, as told and performed by their children. 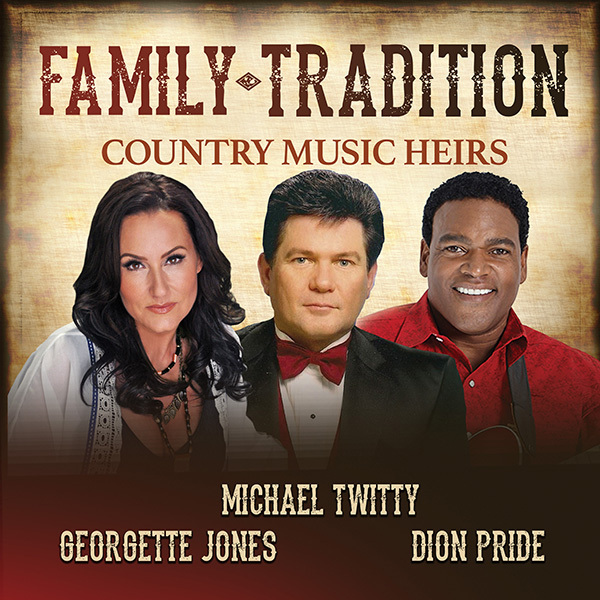 Sit back and enjoy an evening that you will cherish for a lifetime with Michael Twitty, oldest son of Conway Twitty, Dion Pride son of Charlie Pride and Georgette Jones daughter of George Jones and Tammy Wynette. Get to know the cast!